Klokers’ KLOK-01 has won a German Design Award in the Excellent Product Design/Luxury category at this year’s event. 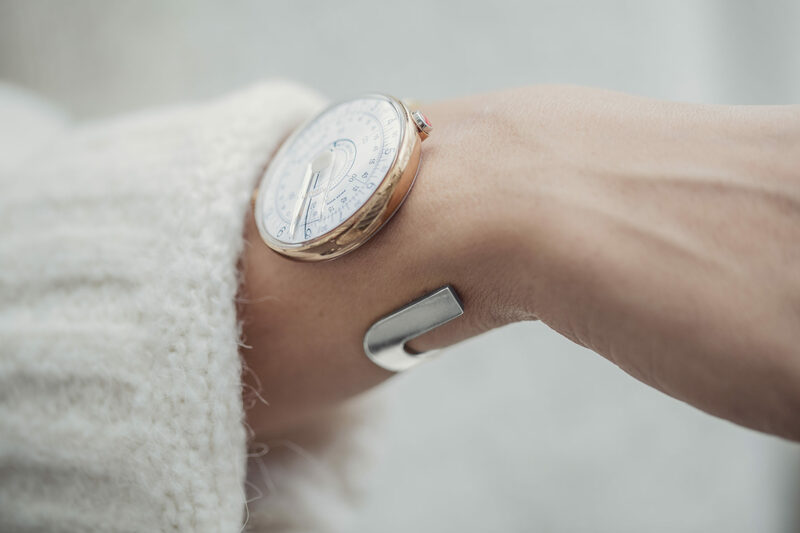 The piece is a watch-head compatible with all straps and accessories of the brand due to a click-in, click-out patented fixing system, something Klokers believes set it aside from its competition. Its dial is composed of three disks, one for hours, minutes and seconds, rotating counter-clockwise, the second feature the brand thinks made it stand out from others in the category. Klokers thinks this recognition has helped the brand achieve its aim of combining traditions from the watchmaking world with new design ideas when developing its watches. On winning the award, Klokers confirmed that just being nominated for the prestigious prize, which is awarded by a jury of design experts, felt like a huge recognition and being the winner was a true honour.